When you or a family member experience a minor injury or sudden non-life-threatening symptoms of illness outside of regular clinic hours, head to one of the Western Maryland Health System Urgent Care Centers in Frostburg or Cumberland, Maryland or Short Gap, West Virginia. If you experience an illness or injury that requires prompt care but isn’t immediately life-threatening, visit one of the WMHS Urgent Care Centers. Compared to emergency care, wait times can be shorter and treatment can be less expensive at an urgent care center. Whether you have health insurance or not, you can visit a WMHS urgent care center. All require prompt care but are not immediately life-threatening. The Cumberland, Frostburg or Hunt Club Urgent Care Centers will likely be able to give treatment far more quickly than an Emergency Department. Follow-up after visiting an Urgent Care Center typically consists of treatment at home as well as visiting your primary doctor within a few days. If you do not have a primary care provider, our team is currently accepting new patients and will be happy to speak with you. The Emergency Department at WMHS is the best choice when you or a family member suffers life-threatening symptoms or a severe injury or illness that require immediate care. This type of care is available 24 hours a day, seven days a week. As a patient in the WMHS Emergency Department, you will have access to advanced treatment and equipment. If needed, the staff will admit you to the hospital for surgery or other immediate treatment. If you’re experiencing a serious condition, such as a suspected heart attack or stroke, you will need to receive treatment in the Emergency Department first. If you have a non-life-threatening condition, like the ones listed under the Urgent Care list above, you will remain in the waiting room until the life-threatened patients are treated. This is called a triage admitting system and is common among Emergency Departments. Wait times for conditions that could be treated at an Urgent Care Center are often much longer in an Emergency Department. Many insurance companies charge a significantly higher co-pay for visiting an Emergency Department compared to visiting an Urgent Care Center. Additionally, some insurers may deny payment if they determine the Emergency Department visit was unnecessary. 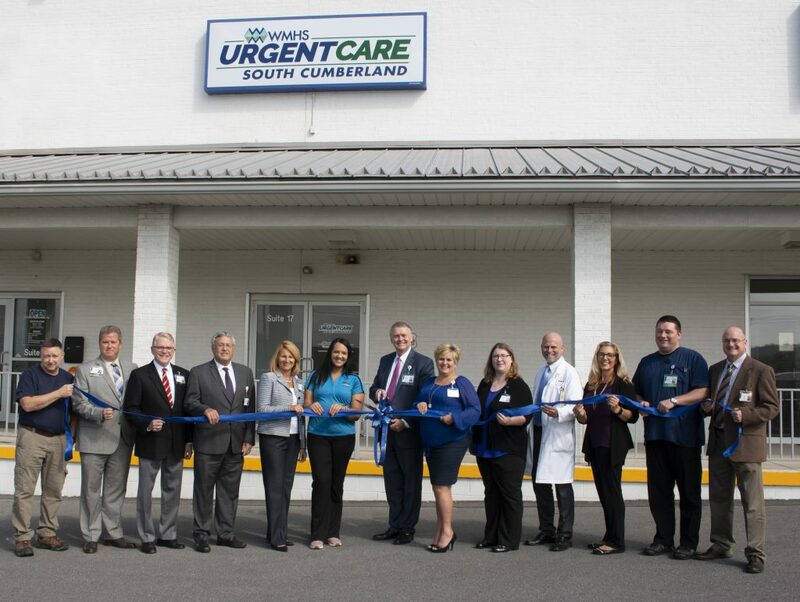 Open 7 days a week: 8:00 a.m. – 8:00 p.m.
South Cumberland Urgent Care Team – NOW OPEN! We treat all of our patients at WMHS, regardless of their ability to pay for services. If you’re concerned about paying for healthcare, we encourage you to visit our Business Office. A staff member there will obtain information from you to determine if you qualify for any form of financial assistance. Qualifications typically include having no health insurance, earning a low income, and the refusal of your health insurance carrier to pay for medically necessary services.